What Makes Idea Lab Kids The Best? 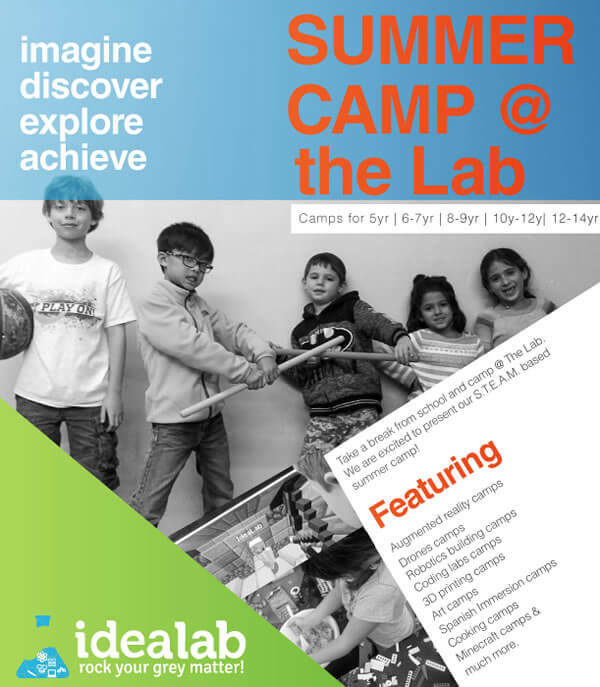 Idea Lab provides classes, camps and activities ranging from Cooking School, Robotics, 3D Art, Engineering and Science. 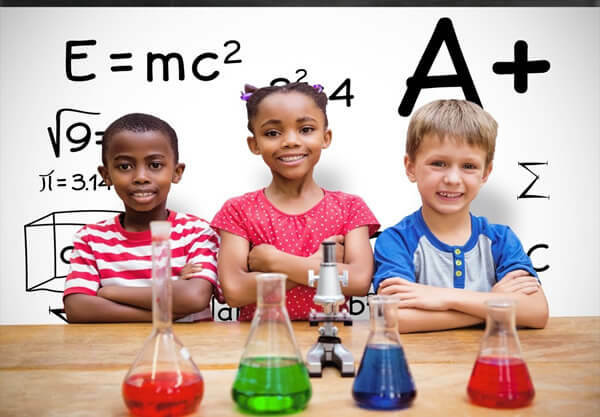 At Lab Rock you Grey Matter Workshops, Classes and Camps, children learn through inquisitive hands-on-activities utilizing Science, Math, Critical-thinking Skills and a great deal of IMAGINATION! Truly, started by Mom who wanted to have her kids unique STEAM-Cooking-Art-Language Experience. 10+ Prestigious Campus Locations – For 5 years, the schools have vetted and hosted our summer programs. Multi-Year contracts with nation chain schools. Ask us about it! 50 + Innovative S.T.E.A.M. 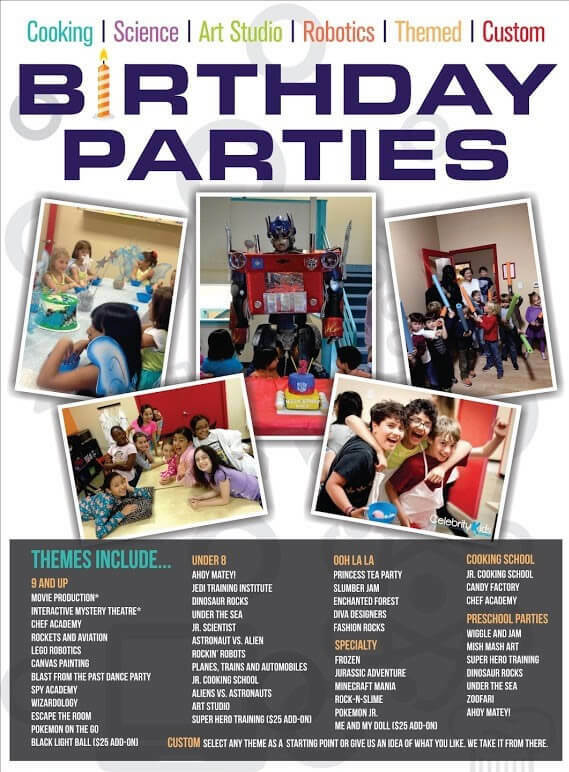 Courses /Workshop /Birthday Parties – Choose from the latest courses in coding, game design, VR, robotics, engineering, 3D printing, and more. 7,500 Idea Lab Students & Alumni – More families choose Idea Lab over other S.T.E.A.M. programs. Profiled by Debra Duncan at Great Day Houston, Fox Network for unique and fun place for curious kids. It's a proven model - with a path build a location which will not rely on people/manager to succeed. Our curriculum is always evolving we listen to parents e.g Pokemon Camp / Augmentative Reality Drone. Territory analysis and sessions on managing marketing campaign. Guidance how to obtain contracts with public and private schools. List of all schools and contacts in your territory. One-day on-site visit from one of our support staff to help you obtain new accounts. One week comprehensive classroom and on-the-job training program at our corporate training facility. Set up of Franchise Management Tool - hosted software to help you manage your business. Architectural support to open a location with twelve months of securing franchise. Access to proprietary and proven systems and techniques designed to make learning center ownership simple and efficient. A Research and Development team working hard to create ever green curriculum. Its not just a Lego. Sales and marketing training, including how to obtain school contracts and utilizing our proven marketing strategies. Host an annual franchisee meeting. Webinars and teleconference trainings designed to keep you informed and ahead of market need. Ongoing communications on ways to grow your business. Telephone consultations with our franchisee support team. Idea Lab is unique franchise opportunity that allows our franchisee business partners to build a financially valuable business by providing multiple revenue streams. We are seeking to partner with driven professionals and investors who have a passion for building a profitable business while also making a positive impact in their community by provided S.T.E.A.M Education. A background in childcare or education but a passion to educate kids is desirable to succeed as an Idea Lab franchise. Our strongest franchise business partners today come from diverse backgrounds such as sales, staffing, marketing, finance and general business management with all having a common goal of making difference early childhood education. Our franchisee business partners may choose to be an active role in the business as the full-time General Manager or decide to hire a full-time General Manager and serve in a more semi-absentee role. We can help you determine which path may be right for you. At Idea Lab Kids, you won’t have to make a choice between helping others and financial success, our business offers you the ability to do both. Please call Ghazal directly at (713) 581-0467. Idea Lab Kids is currently accepting inquiries from the following states: Alabama, Alaska, Arizona, Arkansas, Colorado, Connecticut, Delaware, Florida, Georgia, Iowa, Kansas, Kentucky, Louisiana, Maine, Massachusetts, Mississippi, Missouri, Montana, Nebraska, Nevada, New Hampshire, New Jersey, New Mexico, North Carolina, Ohio, Oklahoma, Pennsylvania, South Carolina, Tennessee, Texas, Utah, Vermont, Washington, D.C., West Virginia, Wyoming.